During a MARCUS voyage in March 2018, the Aurora Australis makes its way toward Macquarie Island, the location of the MICRE field campaign. The Southern Ocean is one of the most remote—and stormiest—places on Earth. It also has significant influence over the planet’s oceanic and atmospheric circulation. However, earth system models struggle to accurately simulate clouds, aerosols (tiny particles in the air), and precipitation in the region. In particular, they have difficulty capturing supercooled liquid clouds, which remain composed of liquid droplets rather than ice even though the temperature in the clouds is below freezing. Models also tend to underestimate sunlight reflected by near-surface clouds. These modeling challenges are linked to poor understanding of cloud and aerosol properties over the Southern Ocean. Two recent field campaigns coordinated by the Atmospheric Radiation Measurement (ARM) Climate Research Facility, a U.S. Department of Energy scientific user facility, are helping to shed light on these properties. 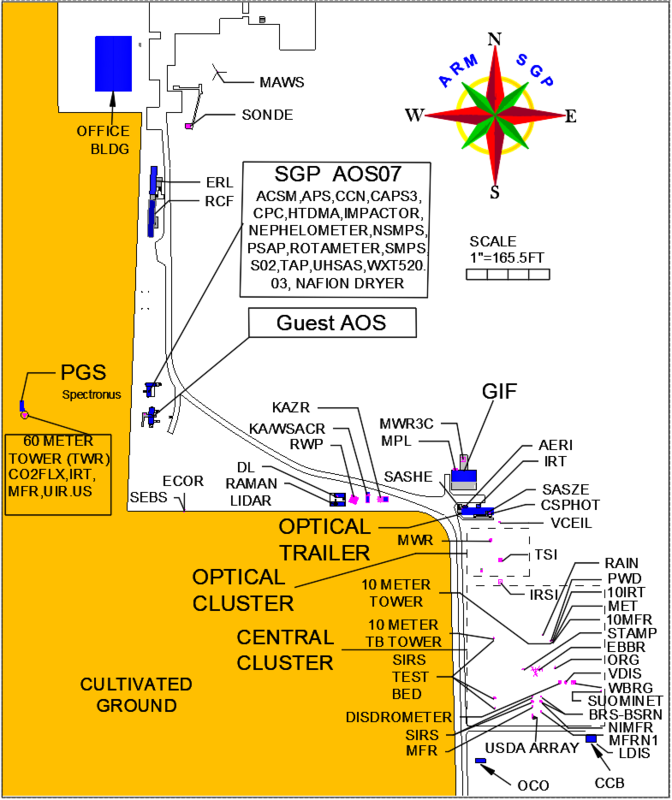 The Measurements of Aerosols, Radiation, and Clouds over the Southern Ocean (MARCUS) field campaign took an ARM mobile facility on four voyages aboard the Australian Antarctic supply vessel Aurora Australis from October 2017 to April 2018. Meanwhile, the two-year Macquarie Island Cloud and Radiation Experiment (MICRE), a ground-based deployment that wrapped up in March 2018, provides a longer set of observations over a complete seasonal cycle. MARCUS and MICRE, both collaborations between the ARM Facility, Australian Antarctic Division, and Australian Bureau of Meteorology, are part of a larger international, multi-agency effort that seeks to expand understanding of clouds, aerosols, radiation, precipitation, air-sea exchanges, and their interactions over the Southern Ocean. The MICRE field campaign, which took place from March 2016 to March 2018, is using ARM instrument data and other observations from Macquarie Island to check the accuracy of satellite data. The MICRE team is checking the accuracy of satellite data against observations at Macquarie Island, which is located between New Zealand, Australia, and Antarctica. So far, in comparing surface radiative fluxes observed during MICRE with satellite-based estimates, shortwave estimates are doing well while longwave data are coming up short. “We’re still trying to understand what’s driving those differences,” says Marchand, whose team also plans to evaluate precipitation, aerosol, and cloud properties—not just their effect on radiative fluxes. The ARM instrument data will be used in combination with Australian cloud radar and lidar observations, as well as other surface measurements. Anticipating instrument issues because of the salty marine air, the MICRE team also sent along spare parts for the hardware expected to be the most problematic on the remote island. On-site technicians made some repairs when instruments went down, but sometimes replacement instrumentation had to be sent on the next resupply mission. It was often a long wait—Macquarie Island is resupplied from Australia twice a year. Instruments aboard the Aurora Australis collected atmospheric data while traveling across the Southern Ocean during the MARCUS field campaign, which took place from October 2017 to April 2018. MARCUS, which obtained key atmospheric data via the second ARM Mobile Facility (AMF2) deployed on the Aurora Australis, can claim a Southern Ocean research milestone. As the supply vessel traveled from Hobart, Australia, to Australian Antarctic research stations Mawson, Casey, and Davis, and to Macquarie Island, shipborne instruments gathered continuous measurements that captured the properties of clouds and aerosols north and south of the oceanic polar front (typically around 60 degrees south) in spring, summer, and autumn. Full quality-controlled data should be available by fall 2018, and production of ARM value-added products (higher-order data products) is also underway. In the meantime, preliminary data analysis has focused on how cloud properties vary with meteorological conditions and aerosol amounts. Despite rough waves and frequent encounters with sea spray, the instruments were quite resilient. This feat resulted from the work of ARM staff members at Los Alamos National Laboratory and ARM instrument mentors from multiple institutions who hardened the instruments for some of the worst conditions on the planet. MARCUS required up to 12 ARM staff to install instruments on the Aurora Australis and up to eight while uninstalling. There were three technicians on each voyage, overseeing the instruments and conducting about 600 radiosonde (weather balloon) launches during the field campaign. The rest of 2018 is shaping up to be monumental for the Southern Ocean research effort. In July, presentations using MARCUS data will take place during the 15th Conference on Cloud Physics, hosted by the American Meteorological Society in Vancouver, Canada. At the American Geophysical Union’s 2018 Fall Meeting in December in Washington D.C., a special session of Southern Ocean clouds and aerosols will feature results from MARCUS, MICRE, and other recent campaigns in the region. Investigators hope these results will eventually help improve the accuracy of earth system models. Already, some sounding data have been incorporated into the Australian Community Climate and Earth-System Simulator (ACCESS), an Australian Bureau of Meteorology model that produces Southern Ocean forecasts. Large-eddy simulation modeling runs are also being explored. The ARM Climate Research Facility is a DOE Office of Science user facility. The ARM Facility is operated by nine DOE national laboratories.